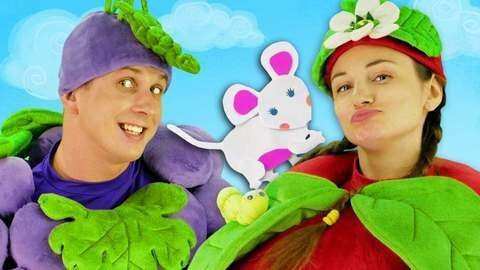 Enjoy a fun babies song for toddlers as the characters in different fruit costumes sing and dance to the Vitty Mouse song. See the cute fruits and vegetables ad they ask how much cheese the mouse can eat. As your kids watch, they can also learn about the different colors of the fruits. Learn a lot more when you watch the other videos that they have on their channel at SeeZisKids.com.